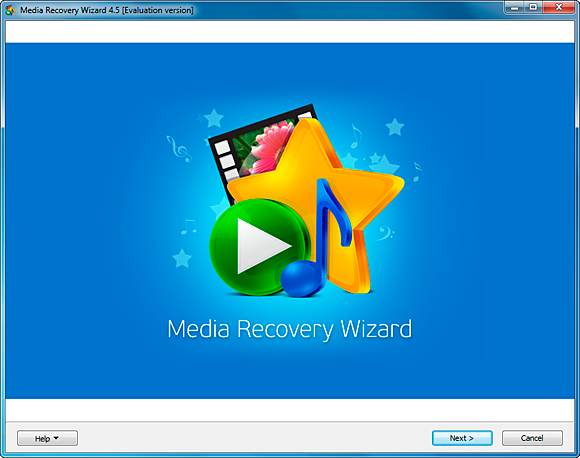 Media Recovery Wizard features numerous data recovery technologies not typically available in this kind of products, such as the ability to recover supported files directly from a digital camera or MP3 player. Media Recovery Wizard can recover multimedia files in different formats, and supports many types of storage media. Media Recovery Wizard requires Microsoft Windows 2000, XP, 2003 and 2008 Server, Vista and Windows 7 in 32-bit and 64-bit versions, and supports all versions of FAT and NTFS.